While some know Tim Gallwey’s bestseller The Inner Game of Tennis, his approach is often quickly summarized as: “We must watch the ball!” However, his message is actually quite different. 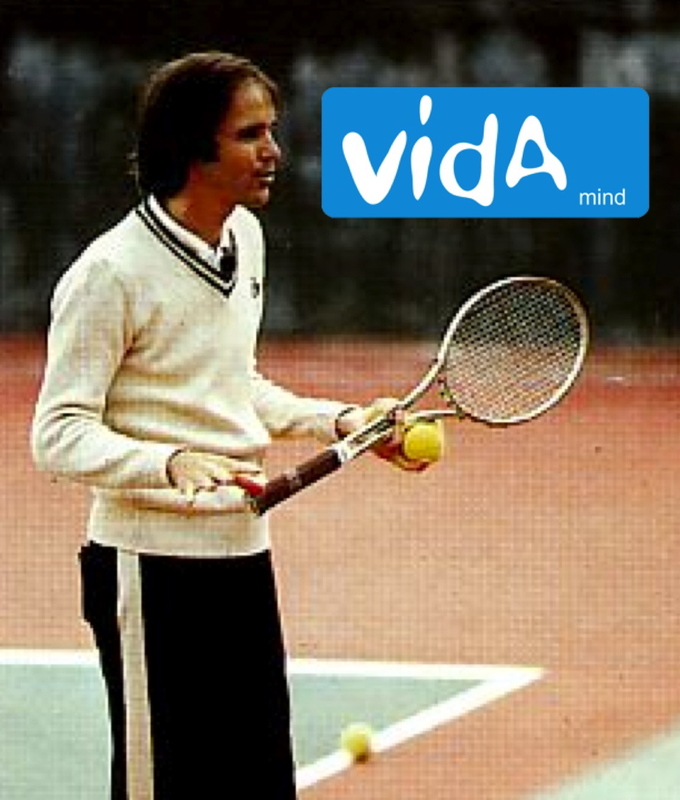 Gallwey was captain of the tennis team at Harvard, then worked in an experimental college until 1969. In August 1971 he went to India and spent some time in an ashram, where he learned to calm his mind through meditation. When Gallwey returned to the United States, he began to implement his vision for sport and the techniques of meditation. At first he called his method “Yoga Tennis”; he renamed his approach “the Inner Game” as he wrote. The book’s success showed that some common doubts and frustrations on the sports field were not being addressed by conventional methods. Tim Gallwey advocates what he calls “relaxed concentration”—the spontaneous performance that occurs only when the mind is relaxed and seems to be one with the body. When this happens on a tennis court, we are focused without trying. We do what must be done without having to apply ourselves excessively. We feel that we move perfectly, all without effort. The aim of the “Inner Game” is to increase the frequency and duration of those moments when the shots seem to come naturally, when our subconscious takes over. In those moments we feel we have been “lucky,” but they are in fact brief moments of Zone. Our immersion in the action requires all our energy and leaves the unconscious and automatic functions to take place without the intervention of thoughts. We have the sensation that the mind is partly disconnected. But to play “unconsciously” does not mean without being conscious of everything: quite the opposite! Being in the Zone is in fact to have a greater awareness of our surroundings—in tennis, the opponent and the ball—while not being concerned about technical issues or thoughts about the past or what could happen. The hardest part is calming and silencing the conscious mind. Calming the mind means less thinking, calculating, judging, worrying, fear; fewer expectations; less effort, less regret, less control. Because to try to control the Zone is immediately to lose it. To help us understand this idea, Gallwey discusses the two “Selves” that appear whenever we are on the tennis court. Self 1, the conscious mind, judges and gives instructions on how to play, while Self 2, the one who does, automatically and unconsciously, receives these instructions and executes them. Tim Gallwey’s idea is that to play at your peak, you need to silence Self 1 and so release Self 2. In order to bypass the type of conscious thoughts that are on the path of the Zone and to anchor yourself in the present, he advises naturally focusing your attention on breathing; then during the game vision takes over. We can summarize his method in four main steps. First: Observe your current behavior and feelings without judgment. Second: Ask your body to program positive images and sensations. It’s a return to your senses: See, feel, and realize what really is. Step three: Let go. And finally, the fourth step: No judgment about your performance. To develop this ability to let the unconscious express itself is to rediscover the natural way to learn that we all experienced when we learned to walk or to talk as a child. from “Back to the Zone” – Sport and Inner Experiences – Dr Damien Lafont, Breakaway Books NY – 2012. If you want to improve your performance and to know more about Vida Mind, do a free session with Dr. Damien Lafont. Contact him at [email protected] or call 0435 819 262 and he will get in touch with you to schedule 30 min with you either in person or over Skype. In this free info session with him, you’ll go through what is keeping your performing at your best. You’ll know Dr Lafont, how he works and whether you are a good fit for each other.